This site has been developed by ISTAS - CC.OO. A respiratory sensitizer is a substance with the potential to act, through whatever mechanism, to create a situation of airway hypersensitivity. A skin sensitizer is "a substance that will induce an allergic response following skin contact". Sensitization implies two phases: the first exposure generates a sensitisation process as a response to contact with allergens. The second phase triggers the allergic response when the previously sensitised individual is exposed to the allergen again. The initial human response to a sensitising compound might be low or none. However, once the individual has been sensitised, subsequent exposures may cause intense responses even to very low concentrations. Sensitisation occurs in most cases as part of an immunological mechanism. Allergic reactions can be extremely severe. The most common reactions include rhinitis, asthma, alveolitis, bronchitis, contact eczema, contact rash and blepharoconjunctivitis. Workers that experience sensitisation to a particular substance may also have crossed reactivity to other substances with similar chemical structure. Chemicals that are not sensitizers but are irritants may similarly cause or aggravate allergic reactions in sensitised individuals. Reduction of exposure to sensitizers and substances with similar chemical structures can reduce the rate of allergic reactions in sensitised persons. However, for some sensitised patients the only way to prevent immune responses to sensitizers and similar agents is to completely avoid workplace and daily life exposure. Sensitizers can cause severe organ damage or major permanent functional changes in organ systems (for example the lungs), and consistent changes in clinical biochemistry, haematology or urinalysis. It should be taken into account that sensitizer substances have no threshold level of exposure, have irreversible damage properties and its use implies serious consequences for society. Given the serious effects of exposure to these agents they are classified as highly hazardous chemicals and risks from exposure must be avoided. Their elimination or substitution are priority actions and only in those cases where these actions are not technically feasible, workers’ exposure must be reduced through other measures (individual and collective protection) following the principles of preventive action according to Directive 89/391/EEC on the introduction of measures to encourage improvements in the safety and health of workers at work. Due to their high impact on occupational health and frequent use in industry, we consider that these substances actually raise a high level of concern. Regulation 1272/2008 (CLP) on classification, labelling and packaging of substances and mixtures (in force since January 20, 2009). where there are positive results from an appropriate animal test. Regulation 1272/2008 (CLP) on classification, labelling and packaging of substances and mixtures. Council Directive 67/548/EEC of 27 June 1967 on the approximation of laws, regulations and administrative provisions relating to the classification, packaging and labelling of dangerous substances. 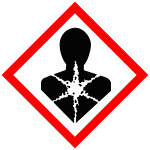 Council Directive 98/24/EC of 7 April 1998 on the protection of the health and safety of workers from the risks related to chemical agents at work.